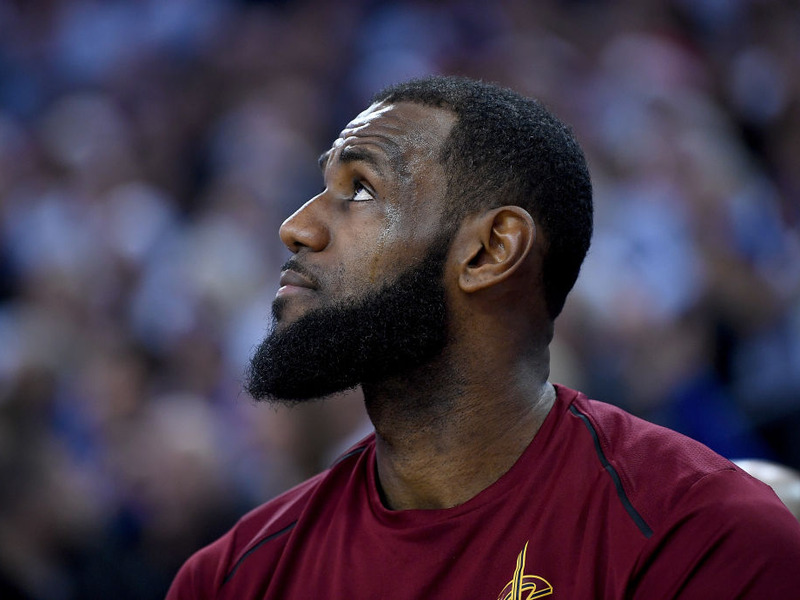 Thearon W. Henderson/Getty ImagesLeBron’s looming free agency is one of the biggest stories of the NBA season. An NYC advertisement company has put up a billboard daring LeBron James to sign with the Knicks this offseason. The plea is just the latest example of billboards trying to lure LeBron, a trend that Philadelphia 76ers fans started when they put up a billboard in Cleveland. LeBron will probably sign with a team closer to being a contender this offseason. Perhaps the hottest new trend in NBA free agency is fans putting up billboards to try and coax LeBron James to join their team this summer. Philadelphia fans kicked off the trend when they put up billboards in Cleveland asking LeBron to “Complete the Process” by signing with the 76ers, and Los Angeles and Portland have gotten in on the trend as well. And now New York has too. LeBron’s free agency remains one of the hottest topics in the league, but it’s hard to see LeBron, at this stage in his career, joining a team like the Knicks, which still seems a ways away from contending. And a recent report from Kevin O’Connor of The Ringer says LeBron is only considering four teams this summer – the Cavaliers, Lakers, Rockets, and 76ers. As for the Knicks, who have not made the playoffs since 2013, they will likely have to continue rebuilding around their young star Kristaps Porzingis.